We are very pleased to share a very special International yoga and trekking retreat “Awakening in the Himalayas” planned for 5th to 22nd April, 2019 in Nepal. We want to give a total experience to all the participants from training, trekking to being on the yoga mat in the land and heart of yoga tradition. To be in the midst of Himalayas and its energies, may offer a chance to have a unique life journey experience. 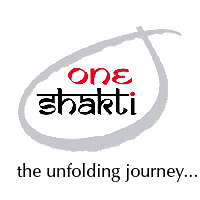 This retreat is managed by One Shakti – Laxmi and Manish. Please link to the retreat information and registration form – Awakening in the Himalayas.